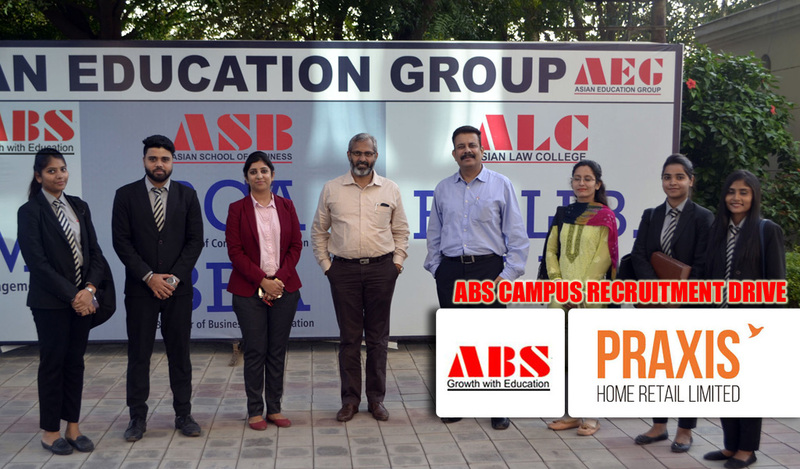 Praxis Home Retail Ltd. conducted the Campus Recruitment Process for the Marketing specialization students of PGDM 2017-19 batch on Thursday, 27th September, 2018 at ABS campus. The four layered recruitment process included Pre-placement talk, Aptitude Test, Group Discussion & Personal interview. The students took active participation and gave tough fight to claim their position in one of the well-known brand in retail industry. Praxis Home Retail Ltd. – a Future Group company is pioneer in home retail in India which started in year 2007 with their first store in Noida as a one-stop shop destination for home solutions. The company offers a clearly defined home offering with a wide assortment in furniture, homeware,customized solutions in kitchen and wardrobes and home improvement. It strives to add value to its customers by providing personalized interior design consultation and services for homes and offices. The company extended its presence online in 2016 with a specially curated assortment of product offering catering to the specific needs of the new-age online customers. Today it has strong presence with 41 stores across 26 cities. The company has a long term expansion plan and plans to grow both online and new stores across in existing and new markets like Nasik and Guwahati. The objective is to offer great quality home products and services to as many people as possible. We are proud to share that our students could claim the offer and join the company at their Delhi & Mumbai office. The HR team was highly impressed with the positive attitude, skill development and domain knowledge. They congratulated ABS for developing the skilled workforce. The selected students are excited and looking forward to start their professional journey. A heartiest congratulation to our students for their final placement.